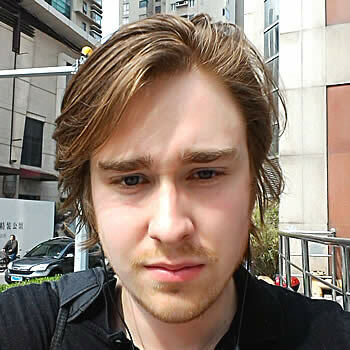 This post is by Fredrik Gronkvist, an experienced product developer based in Shanghai. Since 2011, he has helped hundreds of companies in the EU, US and Asia manage manufacturing in China. Fredrik is also the co-founder of Chinaimportal.com, a leading online knowledge base for all topics related to importing products from Asia. Product regulations are harmonized in the European Union, so you don’t need to keep track of different regulations in each member state. That being said, navigating the regulatory landscape in the EU can still be incredibly complex and time-consuming. In this article, I will give you a broad introduction to product regulations in the European Union. Keep reading, and learn about electronic safety standards, chemical regulations, documentation requirements and the rules for laboratory testing. You will also find out what might happen if you fail to ensure compliance. REACH restricts substances in all consumer products (i.e. textiles, electronics and even product packaging) sold within the European Union. New restricted substances are added every year and include (but are not limited to) lead, cadmium and AZO dyes. This makes REACH a framework that covers all restricted substances. This means that you don’t need to confirm every single restricted substance for your product. Instead, you can simply refer to “REACH compliance”, when dealing with suppliers* and testing companies. Third-party laboratory testing is not mandatory. However, importers may be required to provide documentation (i.e. test reports) and individual consumers may even request a full list of substances in a certain product. A product that contains restricted substances, in amounts above the allowed thresholds, is prohibited from being placed on the market. * It is still recommended to submit a full list of all substances that are restricted by REACH to a supplier. This further reduce the risk of compliance issues. The EMC Directive applies to all electronic devices. The LVD covers electrical and electronic devices with an input or output voltage between 50 and 1000 volts for alternating current (AC), or between 75 and 1500 volts for direct current (DC). R&TTE is slightly different, as it regulates radio-enabled devices. This includes any product that communicates via WiFi or Bluetooth. This is (somewhat) similar to FCC Part 15, in the United States. More than one directive applies to many electronic products. It is also important to understand that these regulations also apply to subsystems, for example chargers. For example, a WiFi-enabled Android tablet must be EMC and R&TTE compliant, while its charger must be EMC and LVD compliant. When importing electronics from China, and other Asian countries, it’s critical to first find out which EU directives apply to the product – and then communicate those requirements to the supplier. It is also of high importance to verify that the supplier has experience in manufacturing electronics in compliance with EU regulations. The truth is that most don’t. Buying from a “non-compliant supplier” is extremely risky. Products must comply with all applicable directives to be labeled with the CE mark. RoHS restricts heavy metals in electronic components and solder. When buying from Asian suppliers, it’s very important that you communicate that the product must be RoHS-compliant – there’s still plenty of non-RoHS components available on the market. For natural reasons, RoHS-compliant components are slightly more expensive than non-RoHS components. Notice that not all EN 71 standards are applicable to all toys. However, you better let a compliance company assess which EN71 parts apply to your product, rather than making guesses. Kitchen utensils and food packaging is regulated by an EU Food Contact Materials Framework. The framework sets legal requirements and issues recommendations for food contact materials, including metal, plastic and paints. Importers must also issue a Declaration of Conformity, which specifies the identify of the product, the importer and the applicable standards. 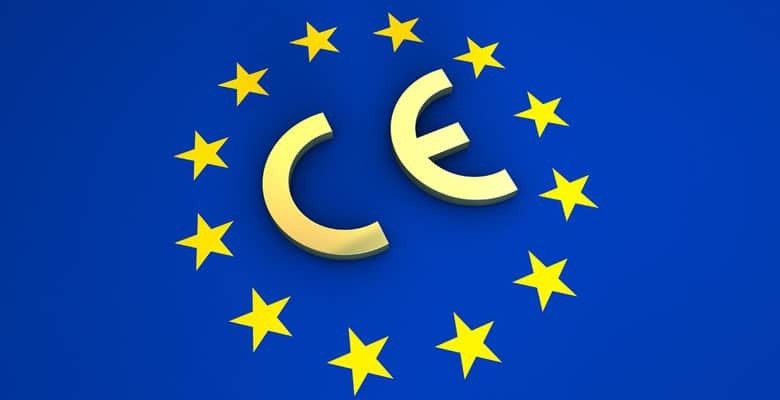 The CE mark is the most well-known European compliance mark. The CE mark signals that a product is compliant with all applicable directives, for example LVD or EN 71. This explains why you find the CE mark on everything from toys to laptop chargers. The CE mark is mandatory, if the product is covered by a so-called “CE directive”. However, a product that is not covered by such a directive must not carry the CE mark. Notice that not all EU directives require CE marking, such as REACH and the Food Contact Materials Framework. This is why you don’t find the CE mark on apparel, or non-electronic kitchen utensils… at least not yet! CE marking involves a lot more than just the printed logo, as regulations set requirements for documentation and testing. The WEEE mark is mandatory for electronics, as it is used to indicate separate collection and recycling. The label must be in the same language as the target market. However, most ecommerce companies simply choose to label according to the major European languages; English, French, Italian, Spanish and German. This is one of the most misunderstood parts of compliance. Many importers assume that all they must ask for from a new supplier is a “product certificate”. As you can see, the test reports are there – but they are only one out of many documents. Simply holding a test report is not enough. As a matter of fact, many regulations don’t even require that a product is tested. It’s up to the seller to decide how they ensure they are compliant with the regulations. While laboratory testing may not always be mandatory, compliance with regulations most certainly is. As such, it’s a matter of deciding how much you are willing to invest to be sure that your products are compliant. First, compliance testing is expensive. REACH testing alone can cost $300 to $500 for a single material and color. EMC and Low Voltage Directive testing can cost a lot more, but at least $1,200. Second, there no limit to how “deep” you can go with testing. If you were to test every single component and packaging material, for all applicable regulations, you’d be set back tens of thousands of dollars. Established companies may be able to afford that, but startups rarely can. As such, startups and small businesses selling products in the European Union must apply a cost strategy that minimizes the risk of non-compliance but makes sense financially. So, what can happen if you sell to (or within) the EU, and it turns out that your products are not compliant? If you are based in the EU, you will be fined if you cannot produce the correct documentation. In addition, your products will be subject to forced recalls. This means that you have to stop selling your products, and buy back all sold products. In short, you will go bankrupt. The customs authorities can seize cargo upon arrival, and request documentation before they release it. They may also forward the products for testing to other government agencies. Market surveillance authorities carry out checks on products that are already placed on the market. They even buy sample products from online stores, to check compliance. So you are not safe simply because the products passed through customs. Now, if you are based outside the EU, in the United States for example, and sell directly to customers in the EU (not through a local company) are you responsible for compliance? If you sell relatively harmless products, they may get caught by the customs authorities. At worst, they may blacklist your company from selling to the EU again. But what if something worse happens? What if you sell a product that causes serious injury or property damage? I am not aware of any previous case, but it’s safe to assume that you would not be protected by the government in your country. How does “Brexit” affect product regulations in the United Kingdom? Probably not at all. The United Kingdom has implemented EU product regulations for decades, and has little to gain from the developing its own set of unique standards. It’s unlikely to be economically viable. I am based inside the EU, and import from China. Can I trust my supplier that the products are compliant? No, absolutely not. First, a product can be technically compliant (i.e. manufactured according to the right standards, and not containing substances above the legal limits) but it is not actually compliant until all parts of the process are completed. This also includes, as mentioned, the documents. So, Chinese suppliers are never “compliant” – it just doesn’t work that way. In addition, the majority of manufacturers in China (and possibly other Asian countries) have no experience with ensuring compliance with EU regulations. Big importers normally provide ready-made product blueprints, which are designed according to all applicable regulations. They don’t leave compliance to the supplier. I am based inside the EU, and importing from China. My supplier says the products are CE marked and even sent me a certificate by email. This must be legit, right? It takes more than just a test report to make a product compliant, although that depends on the directive. At best they have an authentic test report, but is it valid for your product? Is it held in the manufacturer’s name? Is it even real? There are plenty of fakes out there, because so few small buyers bother to check. You are ultimately responsible for compliance. Not your supplier. The EU is the world’s largest market. Why don’t overseas manufacturers invest more effort into ensuring compliance with EU regulations? Some do, like Huawei and ZTE. But these companies go after the market themselves. Why should a company invest thousands of dollars into ensuring compliance (including paying for lab tests and preparing all documents) – and then wait around for EU importers to make all the profit? The suppliers who invest in EU compliance are capable of accessing the market by themselves – without middlemen. I am based outside of the EU, but exporting to European businesses. Do I need to ensure compliance? Yes. Otherwise you will have a hard time finding reliable businesses who want to buy from you. I am based outside of the EU, but selling online to European consumers. Do I need to ensure compliance? This is far more complex, as explained above. However, if you intend to target the EU, then the answer is also yes. I am a startup with a limited budget. What sort of product categories should I avoid? Electronics, toys, machinery and vehicles are generally more complex – both in technical terms and when it comes to regulations. Apparel, jewelry and other simple consumer goods are easier to work with. You can contact Fredrik Gronkvist through Chinaimportal.com. We require our Electric motor Vendor to submit certificate of conformity especially on EMC Compatibility directives. This includes HV & LV motors. imported from China. Seems they have a hard time meeting the conformity requirement. Are these motors not required to conform to EU EMC directives? What are the options? This is the case in most industries. The vast majority of suppliers in China don’t have a clue about EU product safety standards. That doesn’t mean that the product is exempt. I don’t know which specific EN standards apply in this case, but my only advise is to keep looking for suppliers. Perhaps, work with larger batches of suppliers, until you have a few with a verified compliance track record. Two years ago I watched the movie Brexit. In as much as it is only a few more days until the deadline arrives, I decided to watch it again. It made a great many claims about the heavily bureaucratized regulations on all manner of products. I tried to find some examples of regulation for particular products but don’t really know where to look. I’m a citizen if the USA and am just trying to understand some of the issues. I have no financial or personal interests in these matters. What struck me about the movie was the plight of the fisherman. Was the claim it made accurate: that local fisheries were barred from fishing the waters off British shores but that non-EU members could fish without limitations? Were the enormous numbers of laws mentioned also accurate? Some of the graphics seemed a bit heavy-handed. There seemed to be a few internal contradictions in that movie. What surprises me is that the EU never made a counter effort to refute those claims in as “populist” a way as the movie did, if they were inaccurate.